Having grown up in a small, rural town in South Louisiana and now living in New Orleans, Peter Bourgeois has a unique understanding of Louisiana and its people. That understanding has allowed Peter to successfully represent the interests of his clients in both the rural towns and the metropolitan areas of Louisiana. 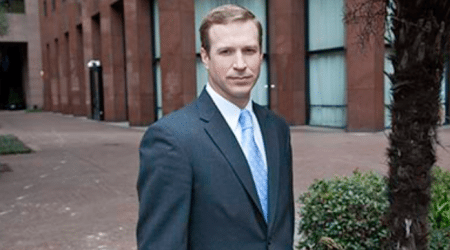 After serving as a law clerk to the Honorable John L. Peytavin (retired) of the 23rd Judicial District Court and as a staff attorney and law clerk at the Louisiana Fifth Circuit Court of Appeal, Peter joined the New Orleans office of Galloway Johnson in 2004. Since that time, Peter has tried numerous cases and has represented a wide variety of individuals, businesses and insurance companies in litigation throughout Louisiana. Peter’s primary areas of practice include medical malpractice and personal injury defense, representing a national pharmacy chain and a large ambulance service company. Peter also has considerable experience in other areas of practice, including professional liability, insurance defense and coverage, ERISA litigation, construction litigation, environmental and toxic tort, and entertainment law. In his free time, Peter enjoys spending time with his wife, Jennifer, and his three children, Betsy, Sadie, and James, as well as watching his beloved LSU Tigers and New Orleans Saints. When the weather permits, Peter enjoys playing golf, fishing, and all things outdoors. Louisiana State University, Paul M. Hebert Law Center, J.D.